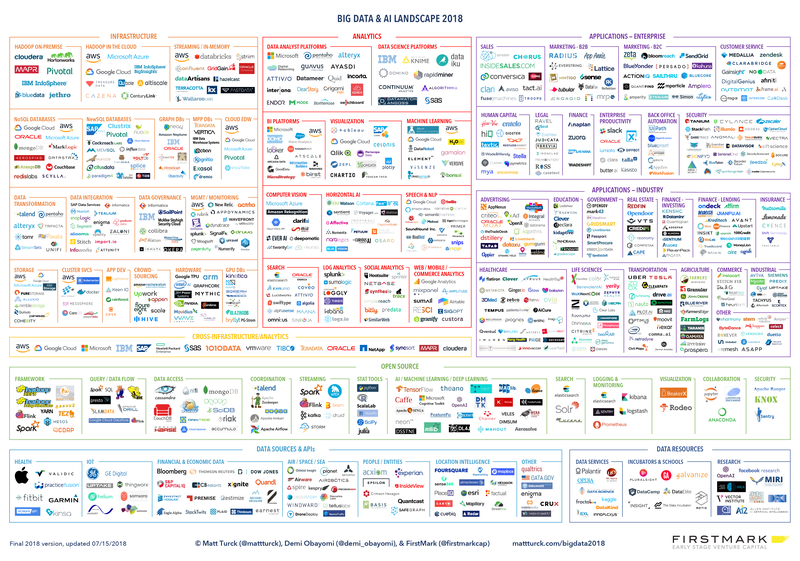 The Cambrian explosion of deep-learning based startups that started a year or two ago has mostly continued unabated, even though the AI startup market is (arguably) showing signs of finally cooling down. Expectations, round sizes and valuations remain high, but we are certainly past the phase where big Internet companies would snap up very early AI startups at high prices just for the talent. The air is also clearing up a bit and revealing “real” AI startups, versus a number of other companies that were leveraging the hype. Some of the AI startups that were founded in the2014-2016 time frame are starting to hit early scale, and many are offering increasingly interesting products across industries and verticals including health, finance, “industry 4.0” and back office automation. Deep learning will continue bringing a lot of value in real world applications for years to come, and vertical-focused AI startups have many great opportunities ahead of them.